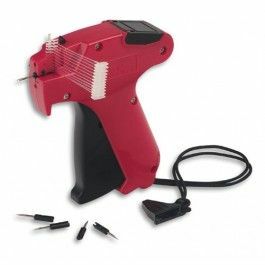 Tagging guns are excellent tools to attach cardboard tags, for example on clothing, shoes, bags and toys. 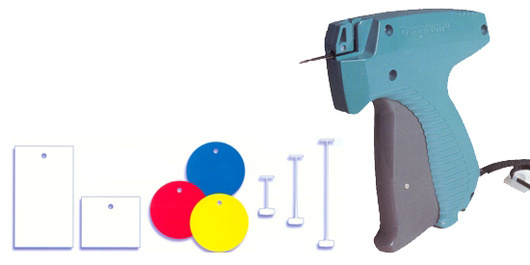 Dennison tagging guns are used in textile products, shoes, bags and other products for affixing the labels. Hook is designed to facilitate the installation of a loop of nylon. Nylon loops make attaching cardboard tags easier. ANNOUNCEMENT From 19.12 to 20.12 we are closed due inventory. There won’t be any orders delivered during that time. We apologise for possible inconveniences during that time!